Ho‘onani Kamai ((Main Film Character) was born and raised in Kalihi Valley, one of the most historic and diverse neighborhoods of Honolulu, Hawai'i. She has been a student at Hālau Lōkahi since first grade, following in the footsteps of her older sister and three brothers, who also studied with Kumu Hina. 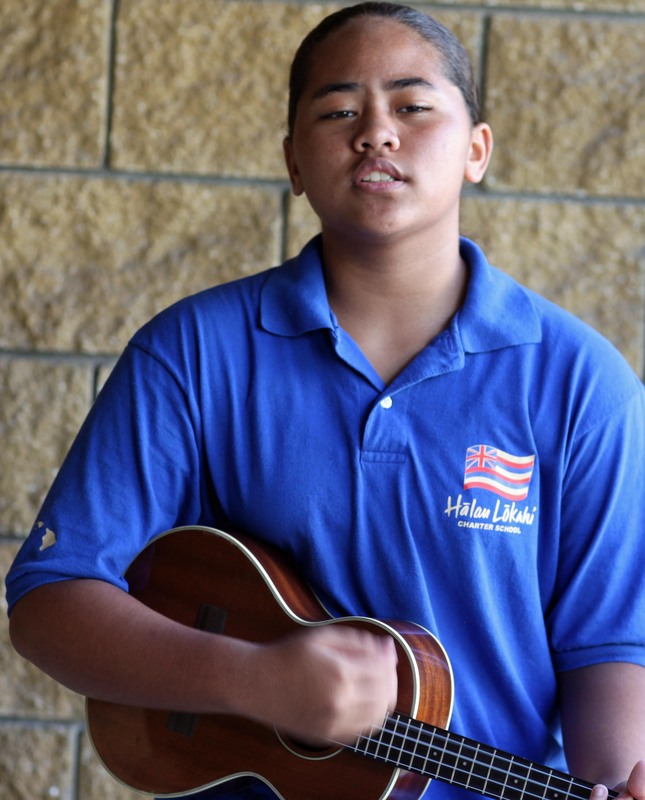 Ho‘onani's greatest love is music, a passion she inherited from both her mother and father, and she has studied in the Na Pua No`eau program for gifted and talented Native Hawaiian children and performed at many venues around Hawai'i. She hopes to eventually become a professional musician or teacher. Hinaleimoana Wong-Kalu (Story Creator and Narrator) adapted this short film from KUMU HINA, a feature documentary about her work as a Kanaka Maoli teacher, cultural practitioner and community leader. Hina was born in the Nu’uanu district of Oʻahu and educated at Kamehameha Schools and the University of Hawaiʻi. She was a founding member of Kulia Na Mamo and Cultural Director of a public charter school dedicated to using native Hawaiian culture, history and education to develop and empower the next generation of warrior scholars. She is currently a cultural advisor and Chair of the O‘ahu Island Burial Council, which oversees the management of Native Hawaiian burial sites and ancestral remains. 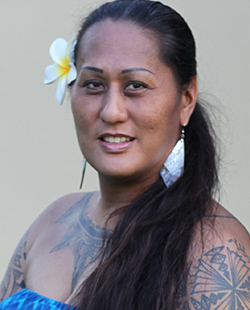 In 2014, Hina announced her bid for a position on the board of the Office of Hawaiian Affairs, the first transgender candidate to run for statewide political office in the United States. Dean Hamer (Co-Producer/Director) is an educator, scientist emeritus at the National Institutes of Health, New York Times Book of the Year author, and Emmy Award-winning filmmaker with a long history in communicating complex and controversial ideas to diverse publics. He formed Qwaves with his spouse Joe Wilson to make documentaries that emanate from the voices of those on the outside, that inspire creativity, that incite us to abandon our comfortable role as spectators and compel us to question and to act. Their work, which has been supported by Sundance, PBS, Pacific Islanders in Communications and the Ford Foundation, has won awards at film festivals around the world and used by a wide range of schools and community organizations. In addition to his film work, Hamer is the author of several best selling nonfiction books, a consultant for BBC and Discovery ,and a sought-after lecturer and guest on TV documentaries and news shows including Nightline and Oprah. In 2011, Dean and Joe moved to the north shore of O‘ahu, Hawai‘i to begin work on a series of films about Pacific Islander voices, history and culture. Joe Wilson (Co-Producer/Director) got involved in documentary filmmaking following a career in international development and human rights. Frustrated by the limitations of traditional organizing and advocacy, he picked up a camera with hopes of reaching broader audiences with stories that would inform and compel people to act. His short films with spouse Dean Hamer were part of the pioneering days of citizen-generated content on the Internet and cable television, and have been used as advocacy tools by a wide range of educational groups. In 2004, Wilson returned to his hometown of Oil City, Pennsylvania, to produce and direct the Emmy Award-winning documentary OUT IN THE SILENCE, which premiered at Human Rights Watch International Film Festival to great critical acclaim. Through national PBS broadcast and more than 1,000 grassroots screenings across America, this film has become part of a national movement to open dialogue, counter school bullying, and support equality for all in small towns and rural communities. Joe and Dean live in Hawai‘i where they are working on films about Hawaiian culture and the lessons it holds for contemporary society. Nels Bangerter (Editor) is an Oscar-nominated and Emmy Award-winning documentary film editor with a keen sense of story and an alert eye for revealing moments. His feature WAR CHILD, which documents hip hop artist Emmanual Jal's remarkable journey from Sudanese child soldier to international star and activist, premiered at the Berlin International Film Festival and won the Audience Award at the Tribeca Film Festival. He won the Best Editing Award at the 2013 Tribeca Film Festival for the critically acclaimed LET THE FIRE BURN and was nominated for an Academy Award in 2012 for his work on BUZKASHI BOYS. He has worked with Whoopi Goldberg on a series of short documentaries for MSNBC's MISSISSIPPI RISING after Hurricane Katrina, with Dan Rather on DAN RATHER REPORTS, and on numerous other short and long projects for screen and television. Nels previously worked with Qwaves as editor on OUT IN THE SILENCE, which won an Emmy and numerous domestic and international film festival awards. Bangerter received his MFA in film production from the University of Southern California School of Cinematic Art. Makana (Composer and Guitarist), who was born and raised on Oahu, Hawai’i, is an internationally acclaimed, Grammy award-nominated slack key guitarist, singer, and composer. The NY Times calls him “A dynamic force within the style” of slack key and National Geographic Society says Makana is “Charting a new sonic frontier with deep ties to tradition.” A student of the legendary Sonny Chillingworth, his work ranges from traditional to highly original, exploring a broad spectrum of musical styles and themes that have a dramatic texture well suited for cinema. A strong advocate for community, many of Makana's performances are donated to cultural and educational causes, and he was honored With the Artist for Peace Award by the city council of Kaua'i. Jerad Greenleaf (Animation) is an artist and animator from Kaua'i, Hawai'i. He received his BFA from Bringham Young University Hawaii, where he developed the distinctive Polynesian art style for which he has become known, and his MFA from Bringham Young University in Utah, where he currently teaches at the undergraduate level. Visitors to the Polynesian Culture Center in Laie have undoubtedly seen Greenleaf's work, which is featured in the animation for “Ha – The Breath of Life,” directed by Ryan Woodward. He also worked with Woodward on “The Turtle and the Shark” (which is used as the temp animation in our rough cut), and on the animated PIC logo. Jared's fine art work has been featured in exhibitions in national and international venues ranging from Provo, Utah to Perth, Australia to Karachi, Pakistan.